Anger seems to be a nation-wide problem. If a person watches the evening news or reads the paper, he will see the effects that anger has on our society. Violent crime seems to be on the rise. Shootings in schools and other public places are becoming more and more common. Domestic Violence has become an epidemic. Ugly divorces and child custody suits are common place today. These examples are just the most visible examples of anger controlling people. Other effects of anger can be seen in the health industry as doctors are prescribing more and more antidepressants and anti-anxiety medications. Stress is one of the top health issues that affects the work place. Each one of these cases show the effects that anger has on our society. Are you angry? 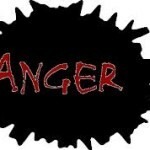 Do you want help to manage your anger? Here are a few suggestions that can help. 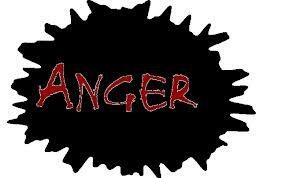 Know that the emotion of anger is not a sin. God shows His anger several times in the Old Testament, especially during the exodus of the Israelites from Egypt. Jesus was angry when He cleansed the temple of the money changers, not once but twice. (John 2:14 & Matt. 21:12) AS James 1:13 points out, God can’t even be tempted much less sin. James 1:13 (NLT) 13 ‘And remember, when you are being tempted, do not say, “God is tempting me.” God is never tempted to do wrong,* and he never tempts anyone else.’ If God and Jesus, who are sinless, show anger, then the emotion by itself cannot be sin. Understand the roots of anger. Fear: When we are fearful and worry about what might happen in the future, we can respond in anger. Fear deals with the unknown mostly. This type of fear is closely tied to worry and anxiety. Paul writes that we are not to worry or be anxious in Phil. 4:6. Hurt: When we have unresolved hurt and pain from earlier in our lives, that pain can manifest itself into anger. A person that we love can do something that reminds us of the past and we lash out in anger. Frustration: This category contains several different types of emotions. Guilt is one. When we feel guilty of our own wrong doing, we get angry to take the focus off of ourselves and place it on the other person. Control is another. If we feel out of control, we want to regain that control and we do that by being intimidating or angry. As one man p uts it, “I Hulk Out!” Inadequacy if another emotion connected to frustration. If we feel that we are incapable of doing something, we might lash out in anger instead of admitting our shortcomings. Learn the physical signs of your anger. 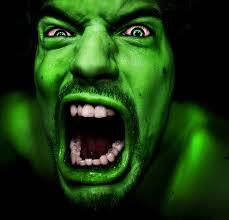 Our bodies release adrenalin when we begin to get angry. Our blood pressure begins to rise. Our face turns red. Our hearts begin to pump harder and faster. Our breathing can become more shallow. These are just a few outward symptoms of anger. Learn yours. Make an anger plan. Having a plan of action when anger begins to arise will help you in managing how angry you actually will get. Take a time out. Remove yourself from the situation if at all possible. This step is not to get you to ignore the situation, but it will allow you to think about it before you react. Take deep breaths. Breathing deeply helps calm you down so that the emotion is not controlling you. Own your anger. Realize that you are choosing to be angry at that time. No one can control your emotions but you (with God’s help), therefore no one is making you mad. You are choosing to be mad in a reaction to what someone is doing. Share the reason for your anger. Do this in a way that is easy for the other person to hear. Use “I” statements, not “You” statements. Talk about your root cause for the anger. DO NOT BLAME the other person. These steps can help you learn to manage your anger. Anger can be very destructive when it is left unchecked. God gave us the ability to have anger for the purpose of bringing about change. When used properly, our relationships will grow and flourish. What are some positive steps you take when you are angry? Share them in the comment section below.